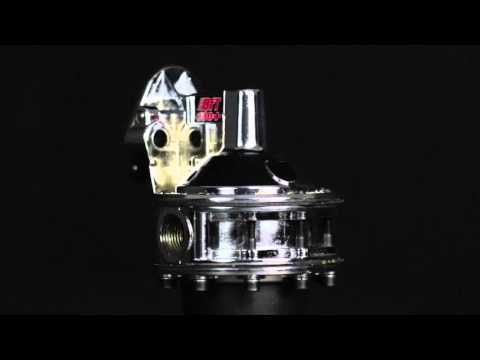 For the typical street cruiser, it's tough to beat the simplicity and reliability of a mechanical fuel pump. 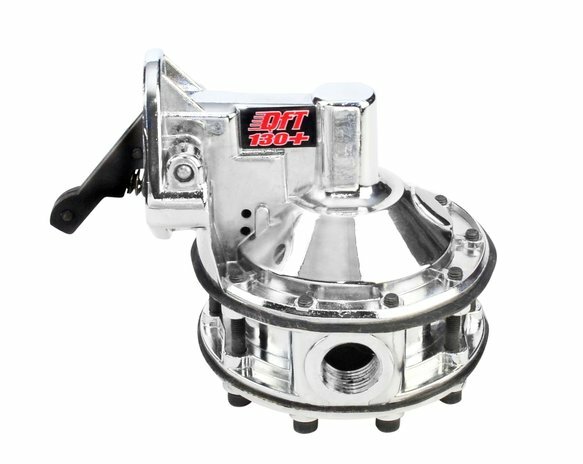 Available for small block Chevy engines, this Quick Fuel Technology® mechanical pump flows 130+ gallons per hour and utilizes a lightweight aluminum housing. For added installation flexibility, the pump casting can be rotated to accommodate various plumbing configurations. •Designed for carbureted small block Chevy V8 engines. •Flows 130+ GPH (Free flow). •All Aluminum housing for weight savings. •Shutoff pressure pre-set from 12-16 PSI. •Inlet & Outlet tapped for 1/2" NPT. •Heavy duty construction for continuous high RPM operation •Fuel pressure regulator is required. •Compatible with methanol and E85 fuels.